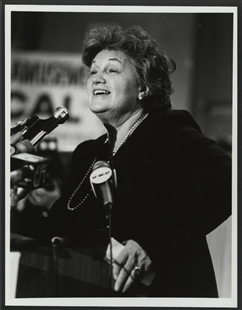 When Congressman George Collins died, party leaders urged his wife Cardiss to run in the special election that followed. Traditionally, the “widow’s mandate” was used to help retain a seat temporarily, with the widow stepping down after completing her husband’s term. 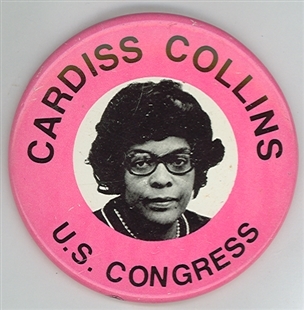 This button shows that Cardiss Collins did no such thing. 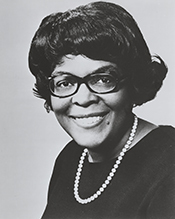 Instead, she was elected to 12 consecutive terms and became one of Congress’ longest-serving women of color.